First, thank you so very much for all the helpful comments from yesterday's post. I received true words of wisdom and terrific advise which will certainly be put to action. The fog suddenly cleared and the path became clearer. Now to work out those pesky logistics. 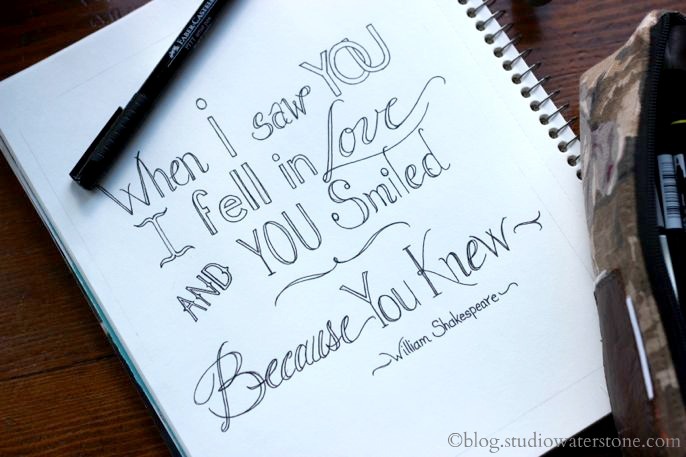 Today, I took a break and copied these beautiful words from William Shakespeare. Here tis - sans color...and flowers. Color and flowers to follow. And if you're stuck on a difficult decision, check out the pearls of wisdom here. These ladies know what they're talking about!